Welcome to 8 Walnut Park Road! 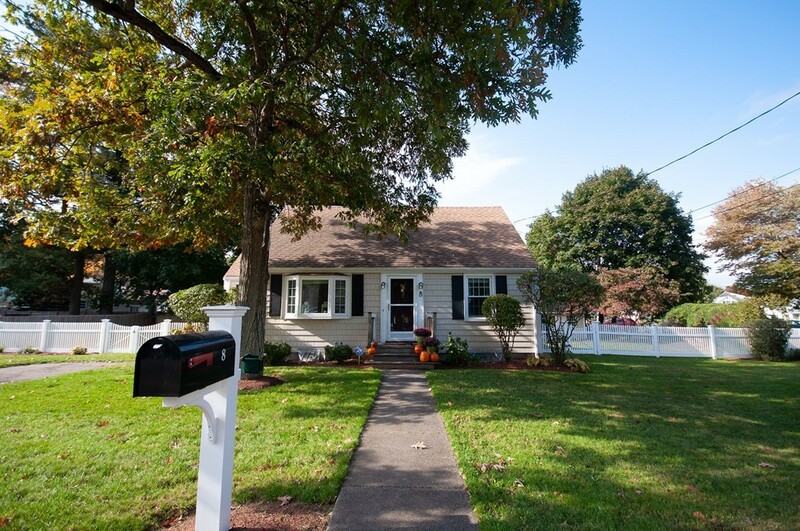 A beautifully cared for and updated cape home in wonderful move in condition. Curb appeal and then some, as you approach this inviting and charming home on a corner lot in an insulated and ultra convenient neighborhood! Fully fenced in yard with designated play space, garden areas & storage shed. Enter into your lovely living room with picture window, a large kitchen with designated dining area, an enclosed back porch wonderful for entertaining, two spacious bedrooms, one with a French door and full bath with tub complete your first floor. Second floor features a large master bedroom, your fourth spacious bedroom & second full bath with stand up tiled shower. Lower level features a fully finished rec room or playroom w/ many storage closets and unfinished area with laundry, tool bench and plenty of additional storage. Well cared for, turn key and charm galore! A wonderful opportunity. Minutes to shops & restaurants, Natick Commuter Rail, Center and More! !